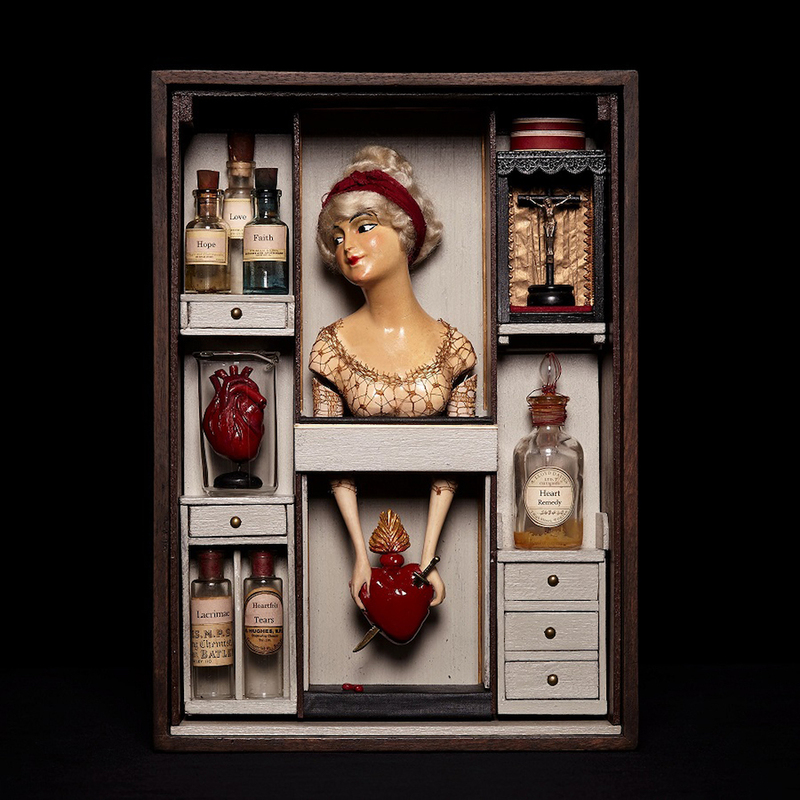 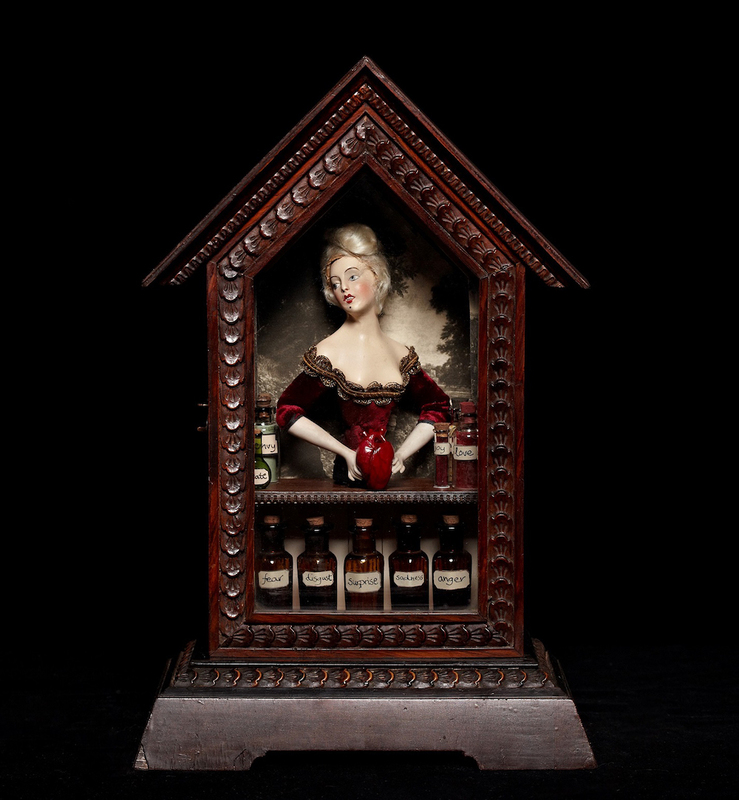 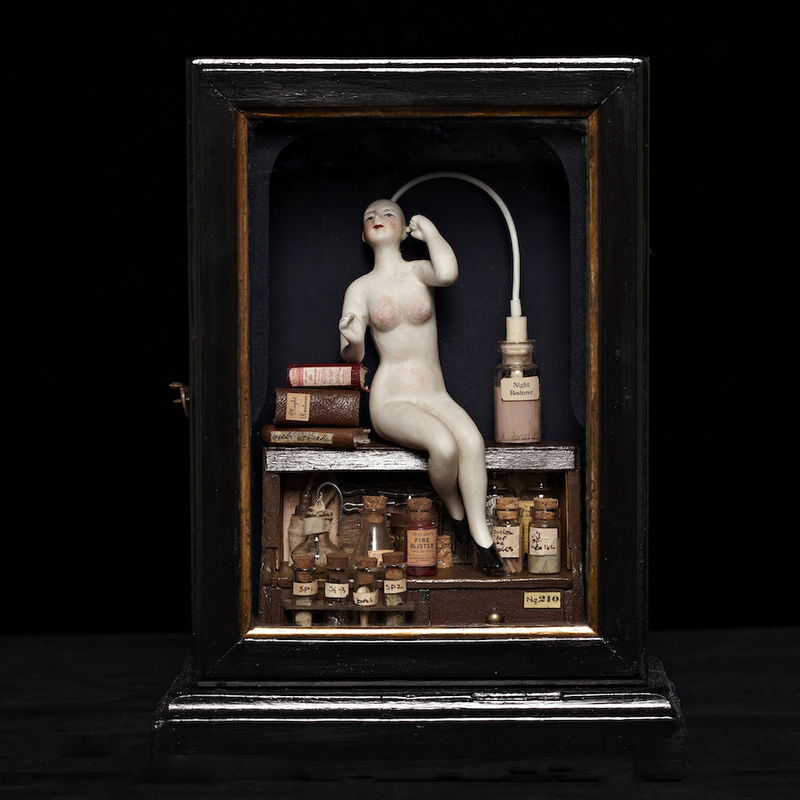 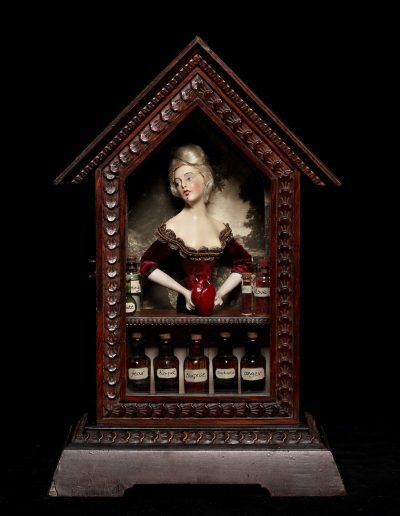 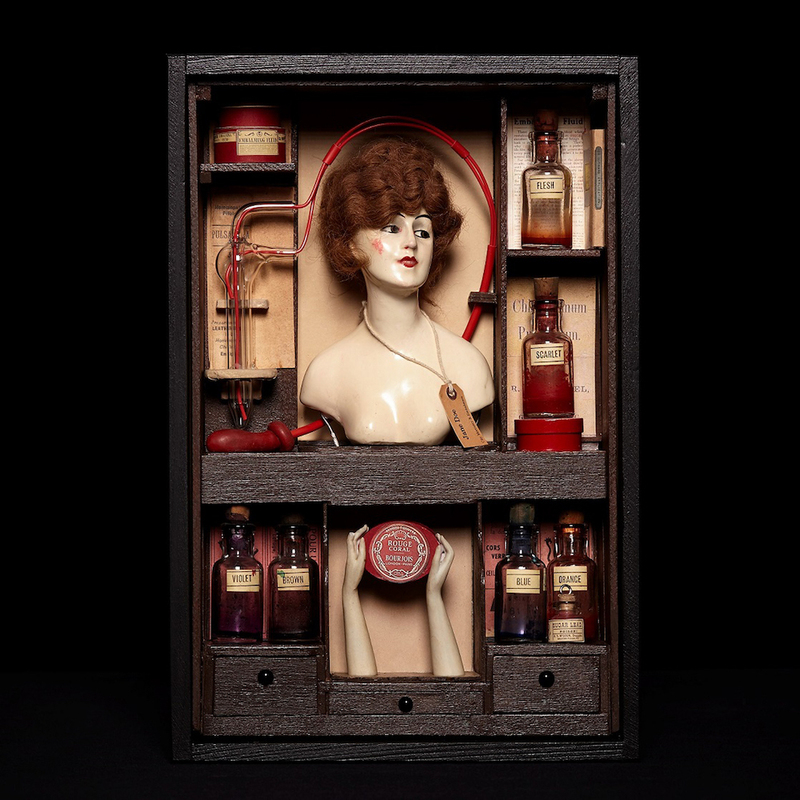 Found objects, antiques and collectables, have always played an important part in my work and this has inevitably led me to assemblage as a way to express an emotion or explore a theme. 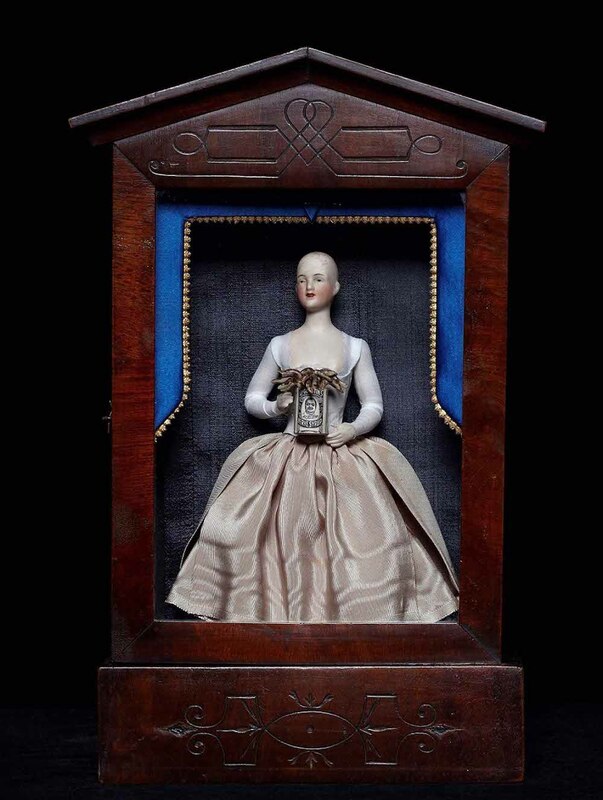 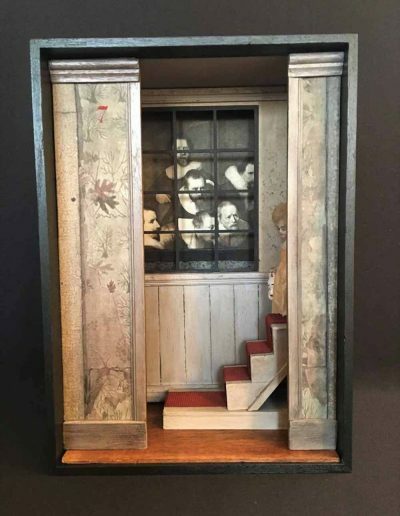 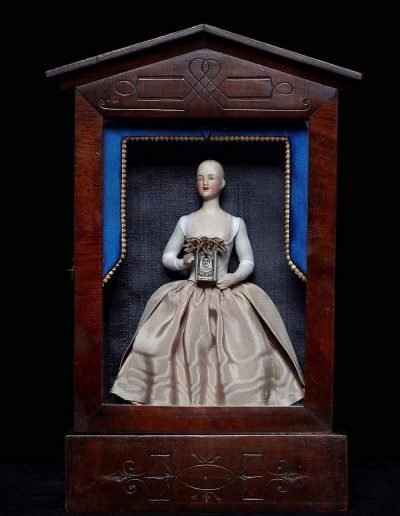 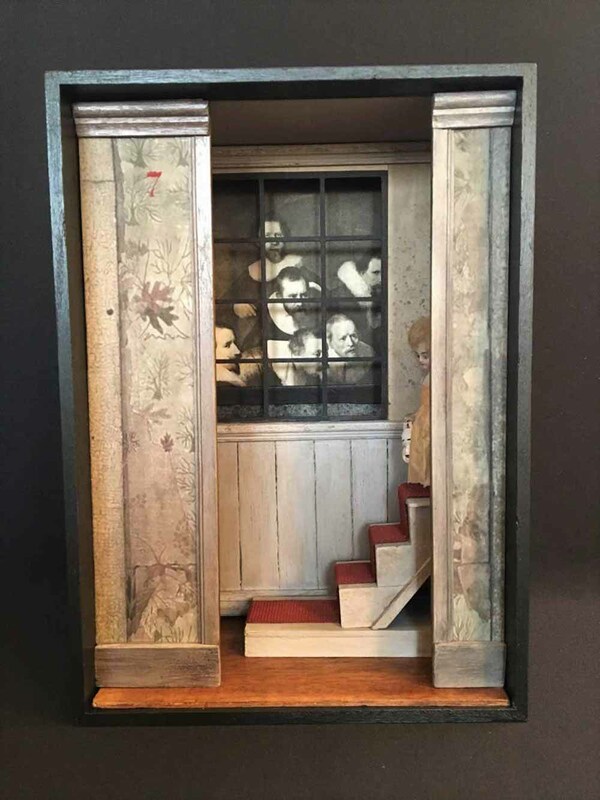 The use of shrine-like boxes, with their religious overtones, enables me to play out three dimensional stories, often from the female perspective. 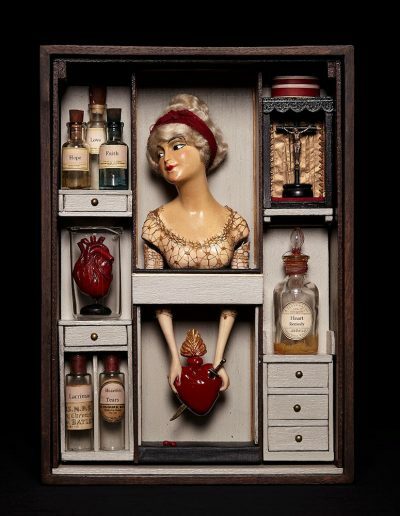 Drawing on historical references, figurative art, sacred imagery and mythology I can examine our curious fascination with death and desire, love and loss, the morbid and macabre.